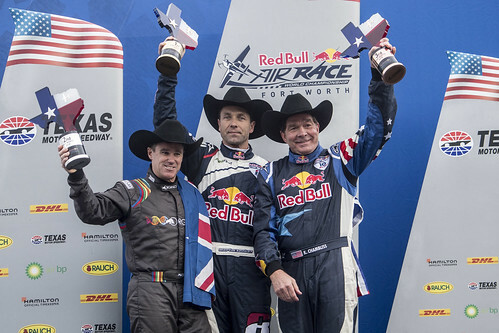 Kirby Chambliss, finds himself back on the podium for the second time this season with a third place finish in Fort Worth Texas. 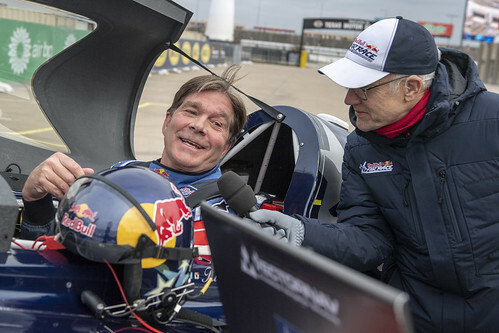 This strong finale to the 2018 Red Bull Air Race season generates momentum that Team Chambliss plans to carry into the 2019 season. As a Texan, Kirby is excited to fly in his home state, but the cold front that moved through the area Saturday night presents challenges for the pilots. 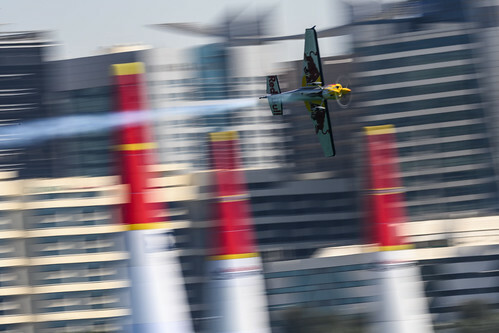 “Everything we learned during the practice and qualifying rounds, we can chuck out the window. The change in weather created an entirely different track,” Kirby explains. The frigid weather doesn’t dampen the excitement. 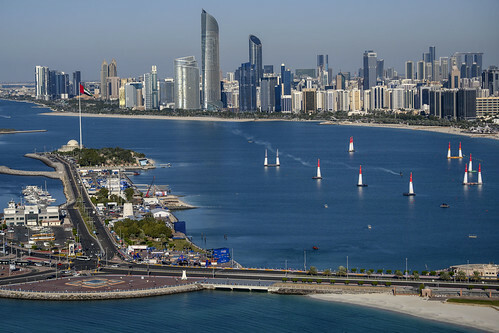 The fourth-place Saturday’s Qualifying round puts Kirby head-to-head against France’s Mika Brageot in the Round of 14. 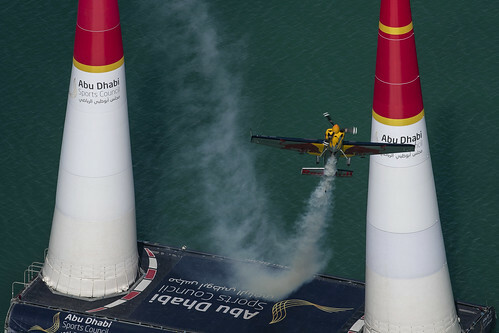 Brageot, first to fly, has a clean run and a fast time of 53.152. 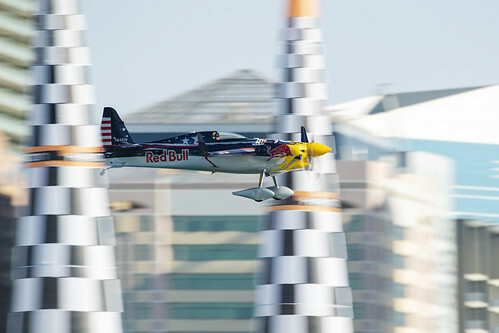 Chambliss races through the track with a clean run, but was edged out by a mere 0.11s. His time was one of the faster posted in the round of 14 and enough to earn a place in the round of 8 as fastest loser. 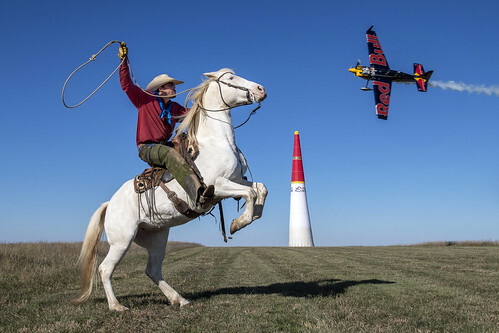 This finish places him in the first heat to race head-to-head against Yoshi Muroya. 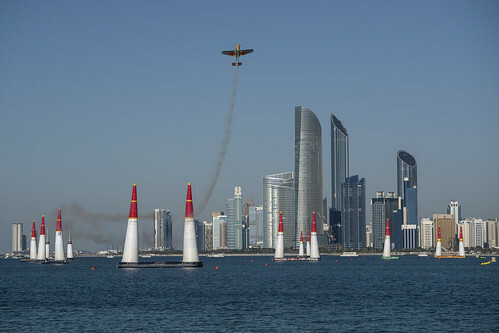 The excitement continues as Muroya sets the pace with a time 52.519s. Kirby easily wins the round with his fastest time of the day—51.984s—securing a position in the final four. 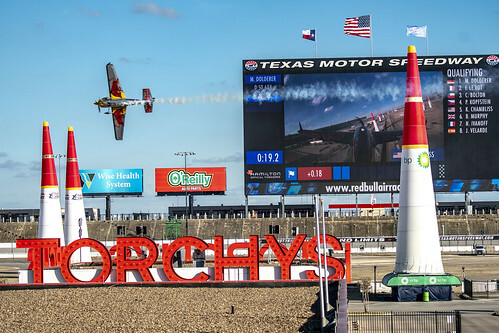 The Fort Worth race is also the 2018 season finale. Martin Sonka is crowned as World Champion with Matt Hall taking second and Michael Goulian rounding out the podium finishers. Kirby finishes 6th overall.